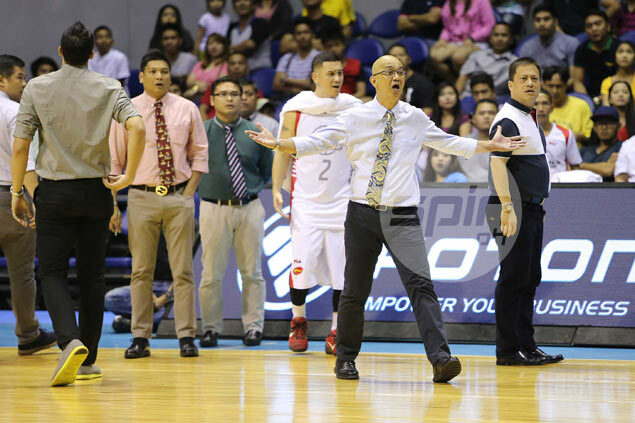 Is Koy Banal in it for the long term at Phoenix? Or will he return to SMC group? AFTER trading away star guard RR Garcia, will PBA newcomer Phoenix part ways with Koy Banal, too? Sources told SPIN.ph Banal may well be on his way back to the San Miguel Corp. group after overseeing the transition following the sale of Barako Bull's franchise lock, stock and barrel to the Mindanao-based oil firm. Since 2007, Banal has been part of the coaching staff of SMC-owned teams Purefoods (now Star) and Petron (now San Miguel) before finding his way to Barako in 2014, shortly after Alfrancis Chua took over as SMC head of basketball operations. Taking over the head-coaching job from Siot Tanquingcen, Banal led a much-maligned Barako team to a respectable finish in 2015 before leading the Energy to the playoffs of the 2016 Philippine Cup. However, he became part of the sale of the Barako franchise to Phoenix, with his contract that was assumed by the Acelerators set to expire in August. Insiders bared Banal will likely return to the SMC organization after overseeing the transition to Phoenix - likely to Star as a back-up plan now that the franchise is struggling under rookie head coach Jason Webb. Phoenix, too, appears bent on ovehauling its roster after one conference with holdovers from the Barako franchise, acquiring Mark Borboran, Simon Enciso, Jonathan Uyloan, Mark Cruz, Norbert Torres in a series of trades with Star and NLEX. The Accelerators gave up Garcia and Brondial to Star as well as Emman Monfort, Mac Baracael and a second-round draft pick to NLEX. The changes will not end there, sources bared, as the team is also talking to Louie Alas, a multi-titled coach now serving as chief assistant to Alex Compton at Alaska. Alas is also a target of GlobalPort to replace Pido Jarencio.